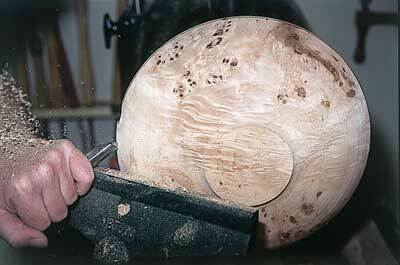 White poplar is a beautiful wood to work with. 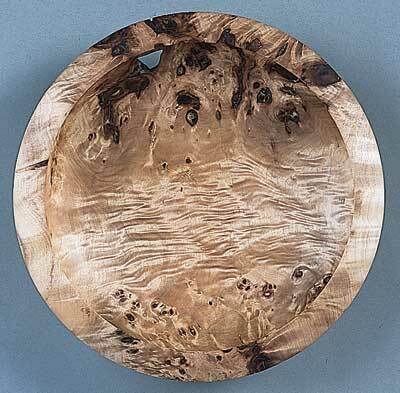 This design shows off the figure in the grain well, and makes an attractive bowl that can be used to store fruit, pot-pourri and other such items. 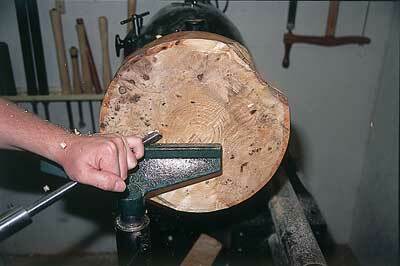 It is not too big, so the wood for it will not cost the earth. 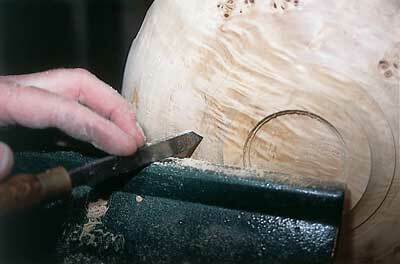 It has a raised foot that is attractively detailed underneath, and the outside of the foot curves in the opposite direction to the main sweeping external curve, forming an ogee. 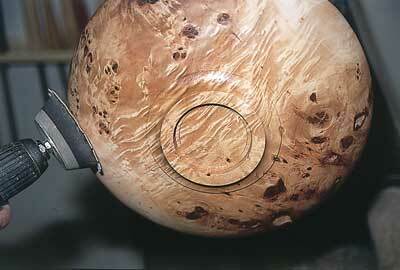 The domed rim has an incurving wall that will hold items nicely and throw a crisp shadow around the rim area. 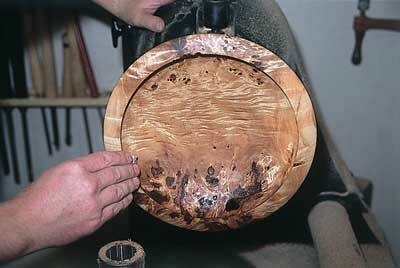 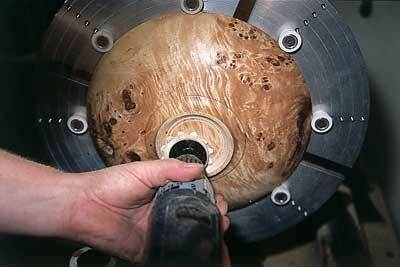 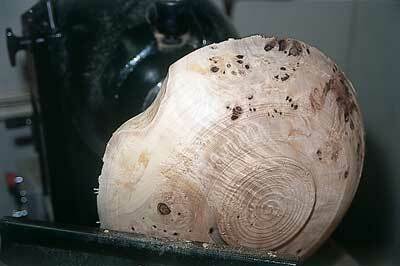 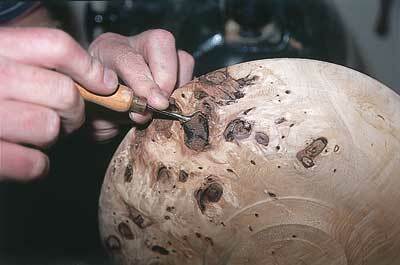 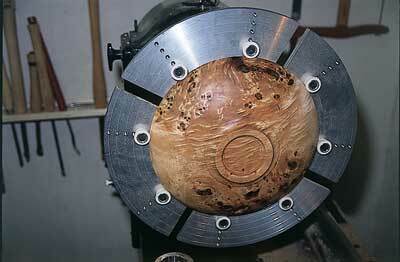 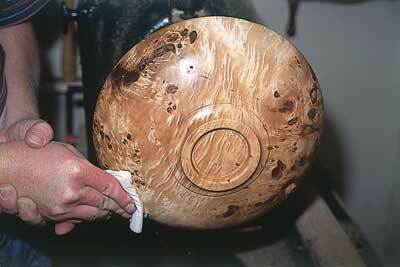 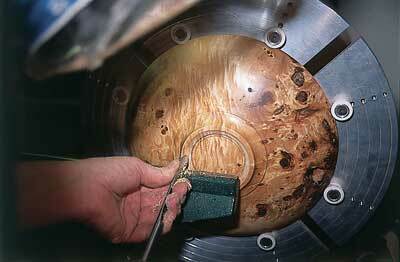 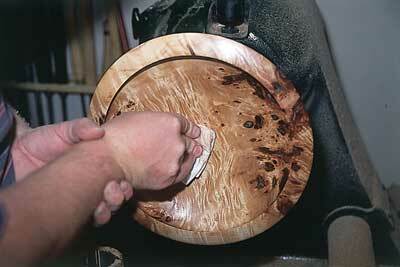 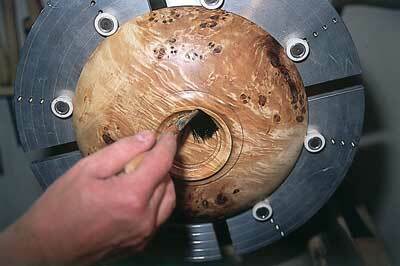 This piece of white poplar burr has some fantastic figuring that really shimmers once oiled. 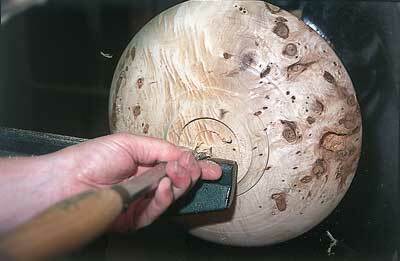 The full extent of the figuring was not evident until the piece had been partially turned. 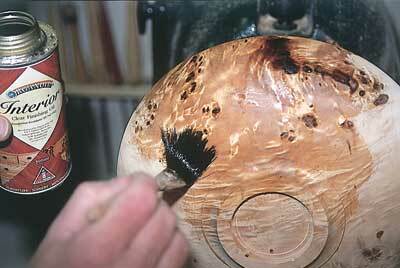 There was a hint of something special in the blank that blossomed as I worked on it. 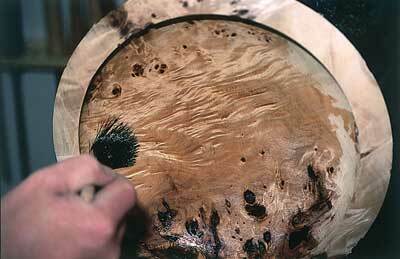 It is this process of exploration and anticipation that makes turning such fun. 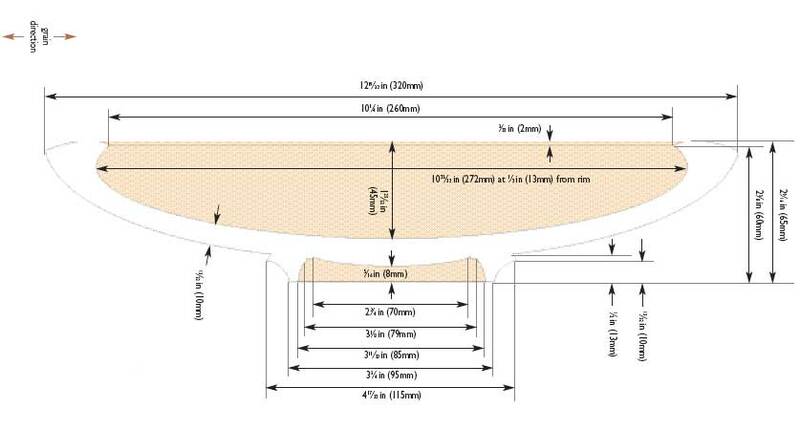 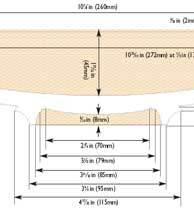 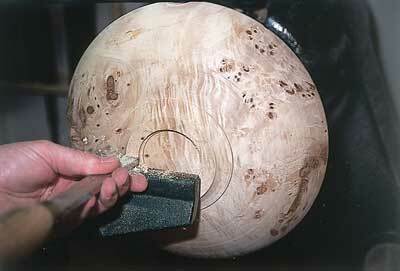 The methods described for this project are used for all the bowls in the book. 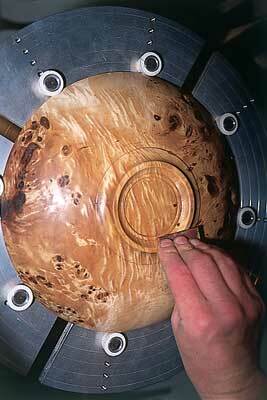 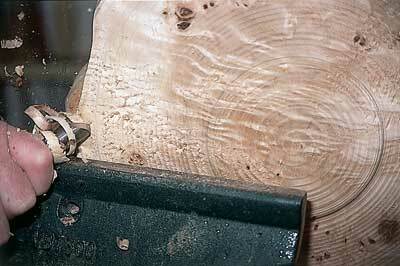 The blank is first mounted on a screw chuck for turning the outside to completion, then reversed and remounted in a four-jaw chuck, using either a spigot or a recess. 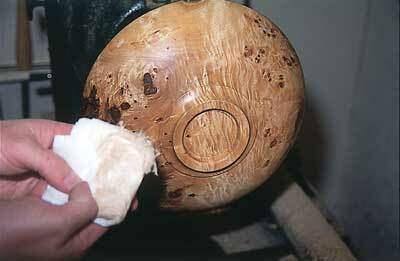 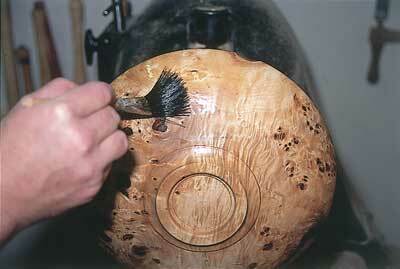 Once the inside is finished, the piece is reverse-chucked to finish the foot. 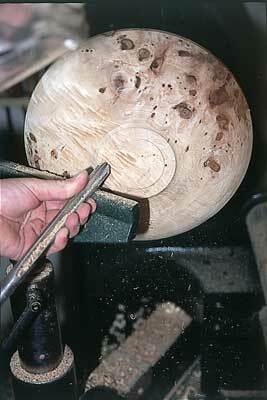 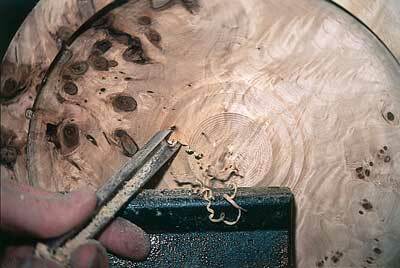 "This piece of white poplar burr has some fantastic figuring that really shimmers once oiled"
Make the width of the foot between 1/3 and 1/2 of the overall diameter. 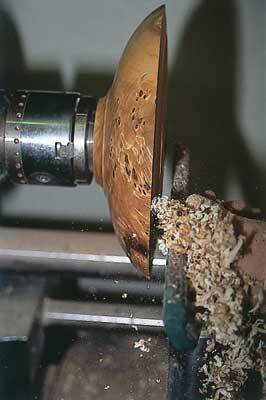 This will make a stable bowl - any less, and it will look as though it is going to topple. 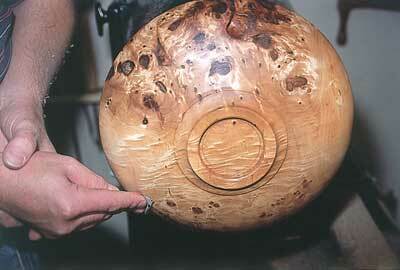 Some bowls have a narrow foot and look stunning, but these are strictly ornaments rather than functional pieces. 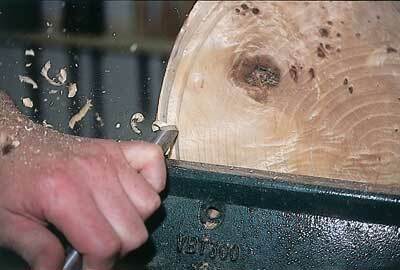 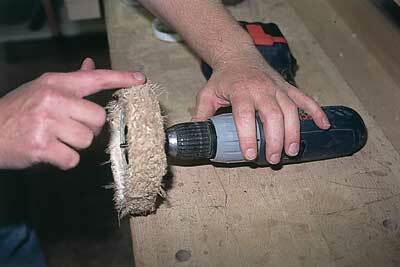 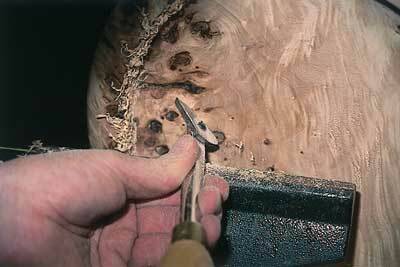 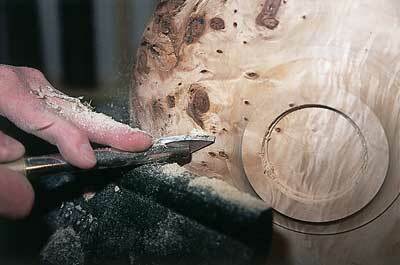 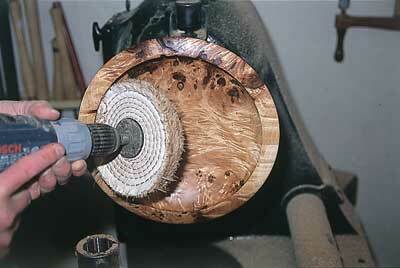 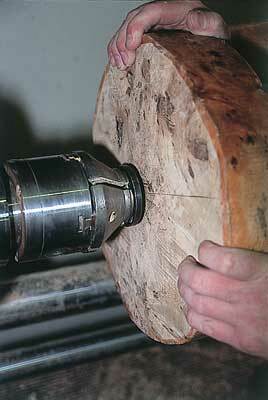 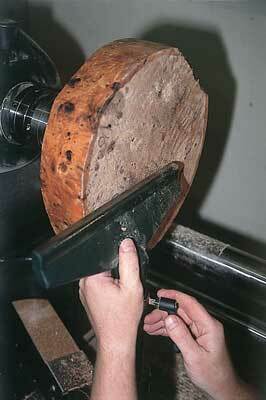 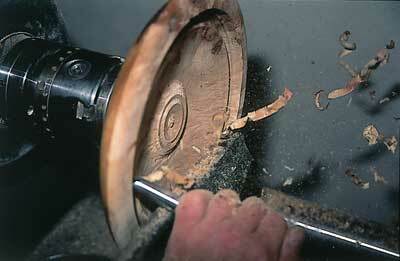 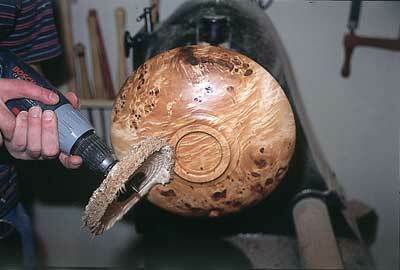 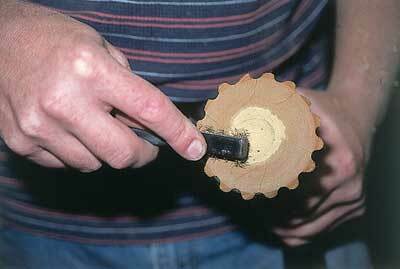 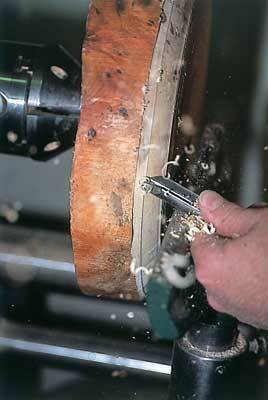 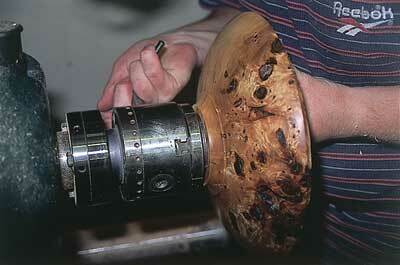 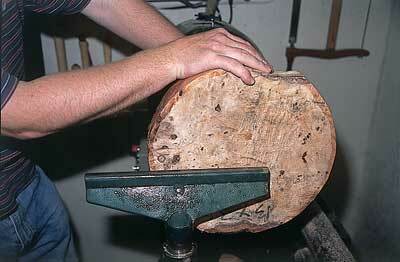 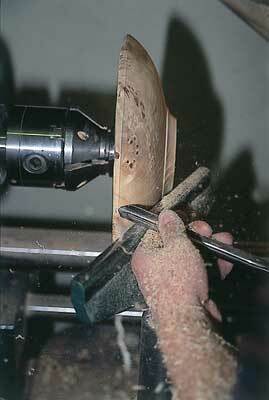 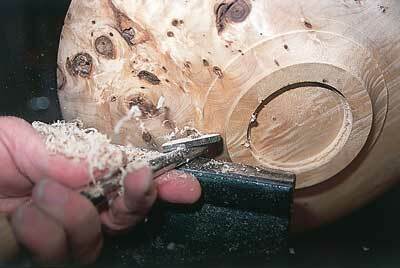 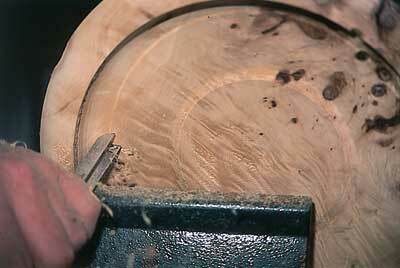 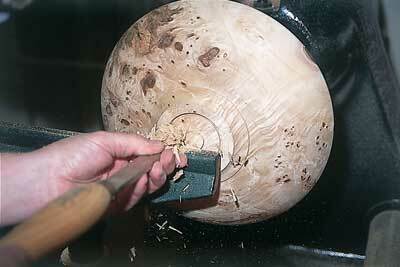 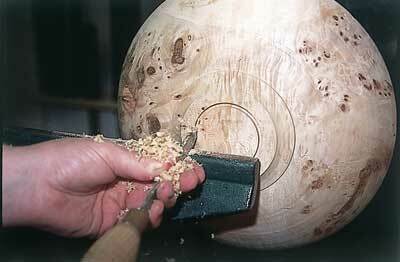 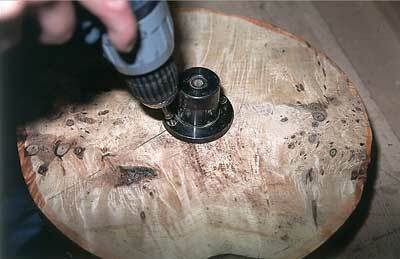 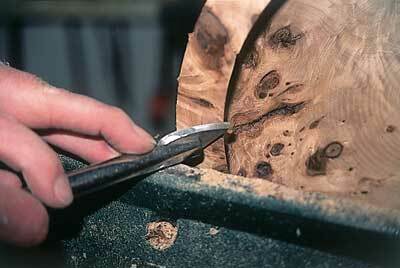 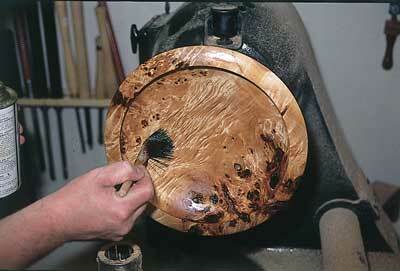 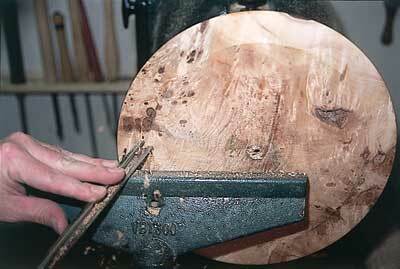 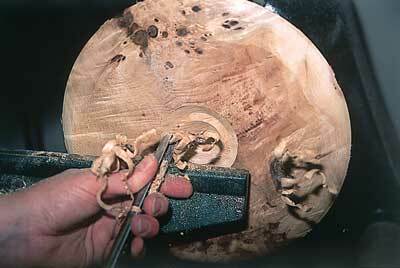 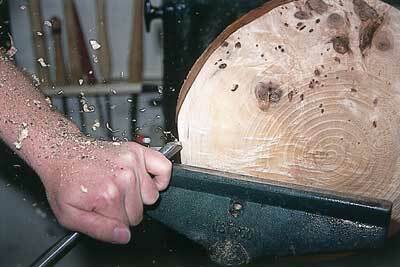 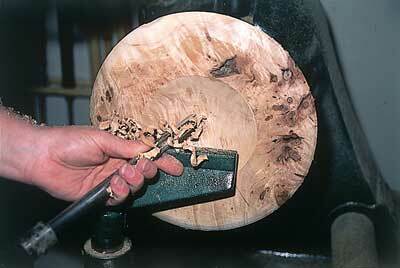 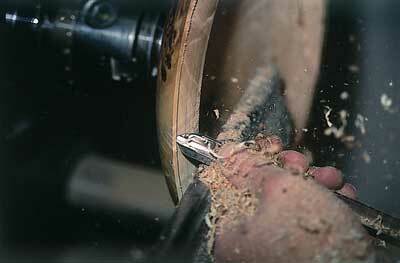 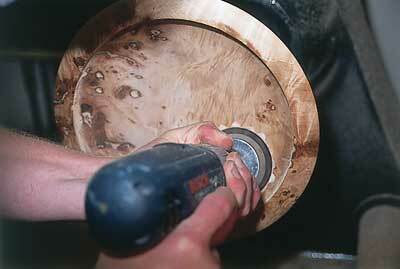 It is best to use a slow speed when sanding, to allow the abrasive to cut.